Few laws are as important as the federal tax law. It affects most of the 215 million adults who live in the United States, as well as millions of for-profit businesses and nonprofit entities. How has tax law changed since 1971? Let’s count just a few ways. In 1971 the top individual income tax rate was 70%. In 2011 it is 35%. In 1971, the average income tax rate for a typical family of four was 9.27%. In 2011, it was 4.5%. In 1971, a person with $50,000 in income paid about $18,000 in income tax. In 2011, a person with the same income pays less than $8,000. In 1971, corporations accounted for over 14% of all federal tax revenue. In 2011, they accounted for about 9% of revenue. In 1971, the top tax rate on long-term capital gains was 34.25%. In 2011, it was 15%. In the entire decade of the 1970s, the federal tax law was seriously amended five times. From 2000 to 2010, it was amended 22 times. In 1971 the Federal Tax Code was approximately 16,500 pages long. In 2011 it was over 71,000 pages. Thus, we can see that due to the “tax revolt” that began in the late 1970s and continues to this day, taxes have fallen, particularly for the rich. The result is that the federal government takes in far less than it spends, and must borrow heavily to meet its obligations. In 1971, the annual federal deficit was less than 1% of the nation’s Gross Domestic Product. In 2011, the deficit was almost 10% of GDP, the highest since World War II. In 1971, the total national debt was $371 billion, which was about 37% of GDP. In 2011, the total national debt exceeds $14 billion, which is over 93% of GDP. At the same time, the tax law has grown increasingly complex. 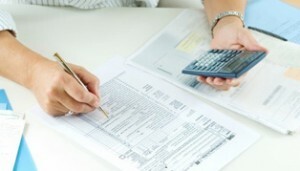 Now it seems that the tax laws are changed every year, often more than once a year. Congress amends the law over and over again as a way to reward friends and punish enemies. There is a well-known adage: “The power to tax is the power to destroy.” But the power to tax is also the power to obtain campaign contributions. This is why few areas of law have changed as much as tax law over the last 40 years. The result is a complete mess.